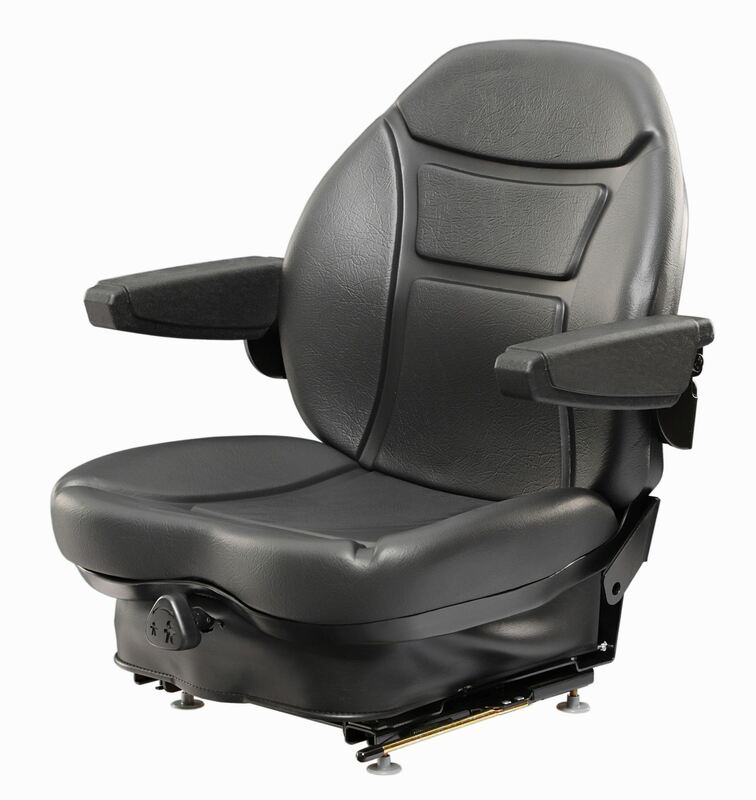 The CR100 is a low-profile mechanical suspension seat, with a plastic-moulded pan seat trimmed in black vinyl, suitable for small construction and material handling machinery. 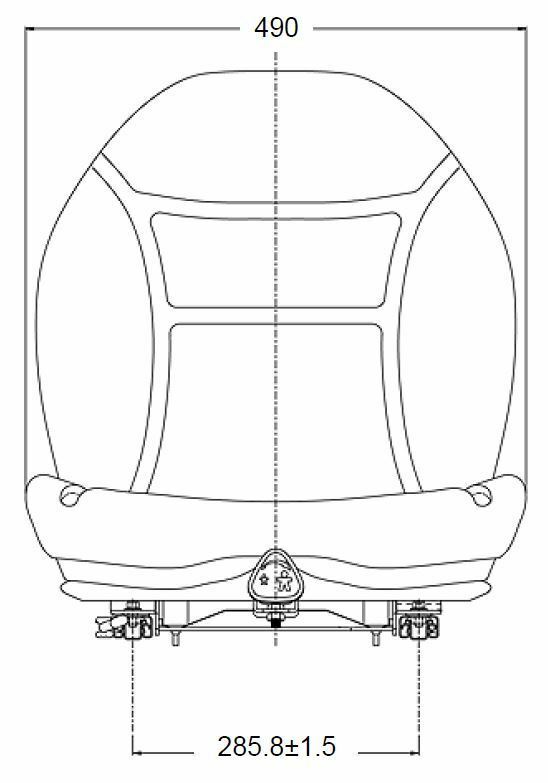 The integrated back-mounted suspension offers preset damped travel choices of 40, 60, or 76 mm. 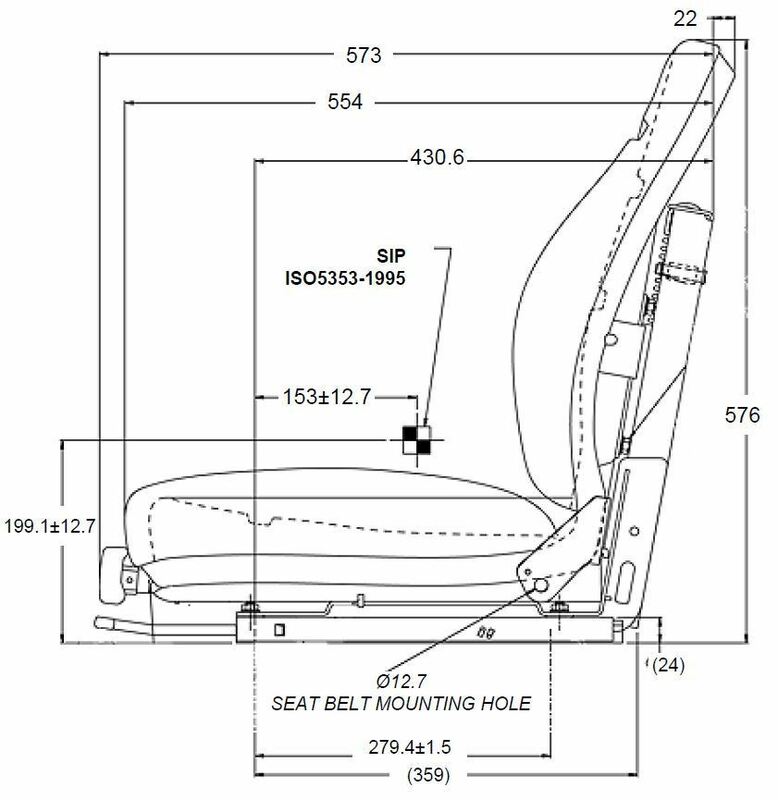 The seat top is made from moulded plastics, to prevent against rust, corrosion, and excessive wear.